Bushwacker 40503-02 Street flares. Sold as a complete set (front and rear). 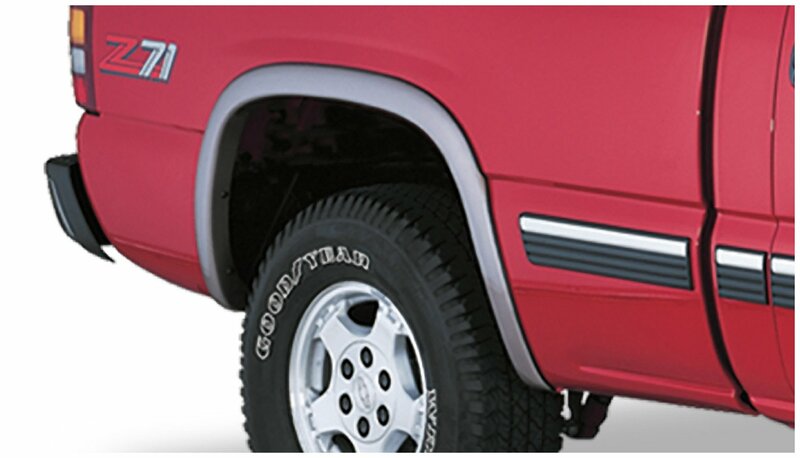 Provides 0.75″ of tire coverage. 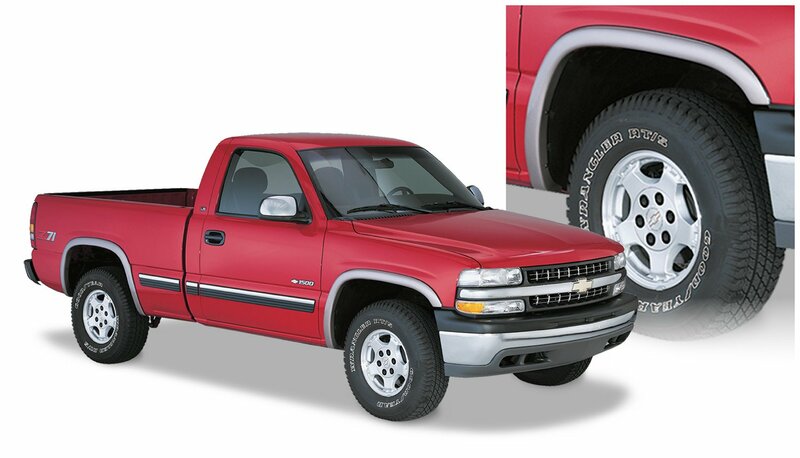 Silverado 2500 HD, 3500 HD 2001-02 Fleetside (78.0 in); Fleetside (96.0 in); Will not fit dually models. 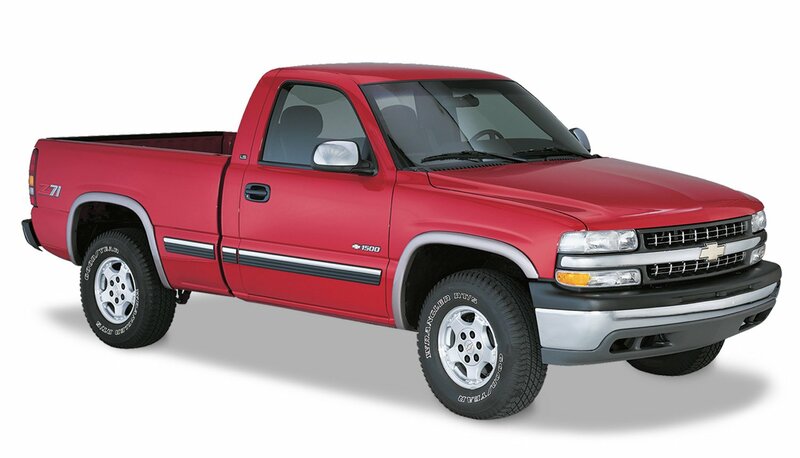 GMC Sierra 1500, 2500, 3500 (Classic) 2007 Fleetside (78.0 in); Fleetside (96.0 in); Fleetside (68.4 in); Fleetside (69.2 in); Classic Model; Will not fit dually models. 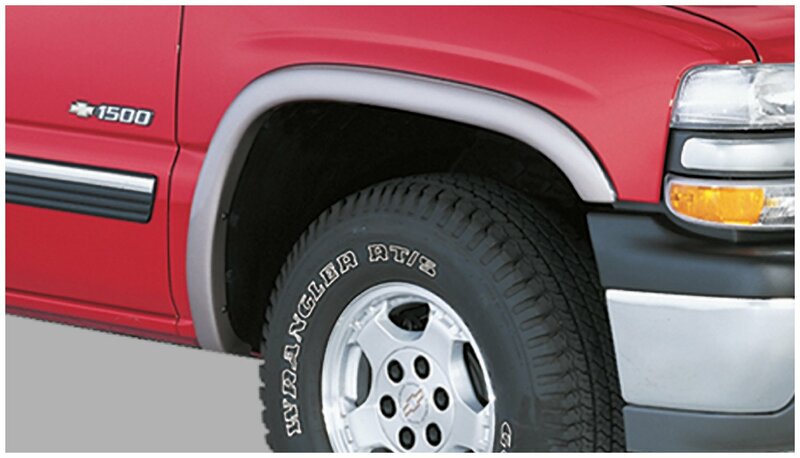 Sierra 3500 2001-05 Fleetside (78.0 in); Fleetside (96.0 in); Will not fit dually models. 2006 Fleetside (96.0 in); Will not fit dually models.